I was scrolling through my Twitter feed the other day, and a six-word challenge from writer.ly hit me over the head like a two-by-four. I had to take a crack at the topic: Crossing the border. Because something non-fiction came to my mind. Not the type of border crossing that most people would think of first. Those of you who’ve followed me here may be familiar with the fact that my dear wife Karen and I eloped to Niagara Falls, N.Y., and were married in City Hall before driving across the bridge to honeymoon in the Canadian side. 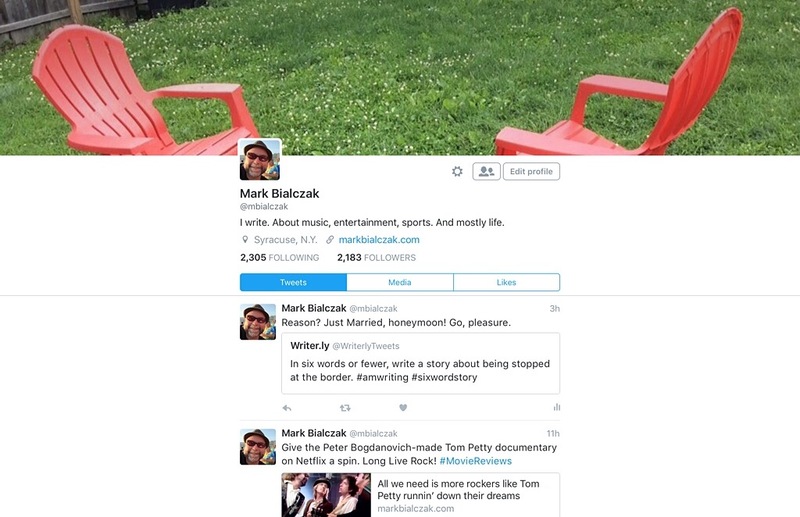 Follow me on Twitter, @mbialczak. Follow writer.ly’s prompt and take a try at “crossing the border” in six words. If you do, please link it back here so we all can see. Still, Ann. Awful! Will catch up. oh canada. maple leaf welcomes. Same border, great sentiment, friend Beth!